Celiac disease, also called celiac sprue, is an autoimmune disorder that occurs when the body reacts to foods containing grains such as wheat, barley, and rye. The body is reacting to a protein called gluten, which is present in grains. Celiac is relatively common in people who have a relative with another autoimmune disorder, such as type 1 diabetes mellitus. If you have a relative with type 1 diabetes, or you have diabetes or other autoimmune disorders in your family, you may want to ask your doctor about being tested for celiac because celiac is more common in people with type 1 diabetes than the general population. The cause of celiac is genetic, and it tends to run in families. It can be very mild or very severe, but it can lead to severe complications if not treated. Someone with celiac may have no symptoms at all or they may have symptoms such as diarrhea, vomiting, gas and abdominal pain. It is important to follow the diet prescribed by the nutritionist if you have celiac because the body's inability to absorb proper nutrients can cause fatigue, weight loss, anemia, osteoporosis and vitamin deficiencies. Up to 40% of people with celiac who do not follow the diet also have vitamin B deficiency, and this can cause numbness or pain in the limbs. The symptoms with celiac are often mistaken for other illnesses. This can be dangerous because the disease will raise the risk of eventually developing gastrointestinal cancer if the diet is not followed. The immune reaction your body has against the gluten causes damage to the villi in the small intestine. The villi are required for you to be able to effectively absorb nutrients. Celiac Sprue Association/United States of America, Inc. The National Foundation for Celiac Awareness (NFCA) is a nonprofit organization dedicated to finding a cure for Celiac Disease. Although it has been known that celiac is common in Europe, it was just recently learned that it is just as common in the U.S. as well. More than 1.5 million Americans may be affected. The disease is present in one out of 22 people who had a close relative with celiac disease and in one out of a 133 people who were not at risk, and it may be present in as many as 1 in 20 people who have a relative who has type 1 diabetes. People with celiac disease are given a blood test that screens for antibodies found in the majority of people with the disease. A biopsy of the intestine may be used to confirm the diagnosis. There is no cure yet, but attached are some resources regarding groups who are helping to look for a cure. At this time, the treatment for celiac disease is to stick to a diet that avoids foods containing gluten, such as many breakfast cereals, breads, crackers and pastas. Gluten may also be hidden in other processed foods such as canned soup, lunch meat, salad dressings, and gravy and seasoning mixes. A nutritionist can help you choose the right foods to avoid gluten, and there are many great gluten-free products. Now that we have learned that celiac is more common than previously thought, we may see new gluten-free products appearing on the market, providing even more choices for consumers. We also hope to see more products marked with the symbol for "gluten free" or an identifier that lets the consumer know that the product does contain gluten. Allergy Free Kosher offers gluten-free, Kosher foods. Read questions from the CWD community and answers from the Diabetes Team about celiac disease. The diagnosis and treatment of celiac disease. Free full text available in HTML and PDF formats. FDA defines gluten-free for food labeling. See also What is Gluten-Free? FDA Has an Answer and F.D.A. Sets Standard for Foods Labeled Gluten Free. Federation of International Societies of Pediatric Gastroenterology, Hepatology, and Nutrition Consensus Report on Celiac Disease. Parallels between pathogens and gluten peptides in celiac sprue. Free full text available in HTML and PDF formats. Impact of celiac autoimmunity on children with type 1 diabetes. Early diagnosis and treatment of celiac disease in type 1 diabetes. A longitudinal, case-control study. Prognostic factors of celiac disease occurrence in type 1 diabetes mellitus children. A prospective, double-blind, placebo-controlled trial to establish a safe gluten threshold for patients with celiac disease. Risk of Celiac Disease Autoimmunity and Timing of Gluten Introduction in the Diet of Infants at Increased Risk of Disease. Free full text available in HTML and PDF formats. See also Gluten Exposure in Infants Lowers Risk for Celiac Disease. Characteristics and Quality of Illness Behavior in Celiac Disease. Mental Disorders in Adolescents With Celiac Disease. Celiac Disease and Gluten Sensitivity is from the Wm. K. Warren Medical Research Center for Celiac Disease at the University of California San Diego. The Celiac Disease Awareness Campaign by the NIH offers educational resources about celiac and links to resources that can help. Celiac disease. The free full text offers an excellent overview of celiac disease for the family practice physician. Also available in PDF format. What blood tests help diagnose celiac disease? Gluten Free Girl is the blog of Shauna James, who has celiac. Kids and the Gluten-Free Diet. What is celiac disease? is an excellent overview from the National Foundation for Celiac Awareness. Final NIH Consensus Statement About Celiac. Also in PDF format. 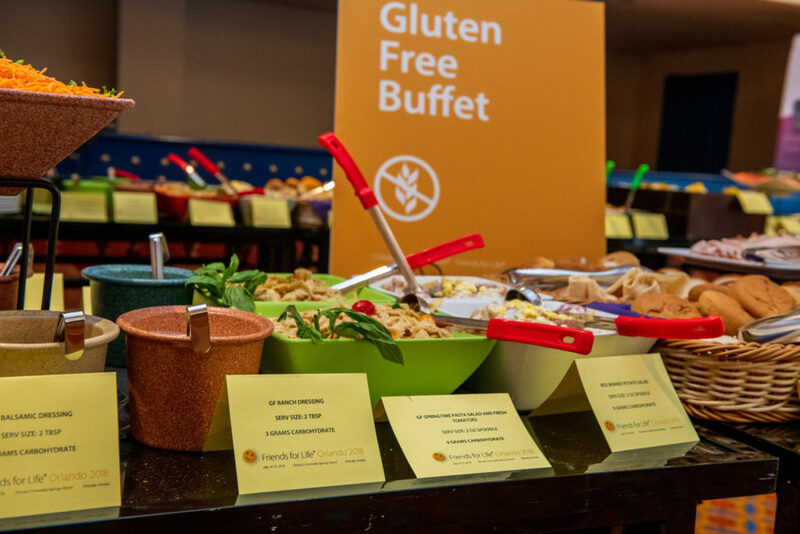 The Gluten-Free Restaurant Awareness Program (GFRAP), facilitates the relationship between individuals with celiac disease and individually owned and operated restaurants that understand their dietary needs.